To describe the characteristic features of post-carbon-ion radiotherapy (CIRT) vertebral pathological fractures (VPFs) in upper cervical primary malignant spinal tumors (PMSTs) treated by occipito-cervical (OC) fusion. OC fusion was performed for three consecutive patients with post-CIRT VPFs. The clinical results and imaging findings, including bone single-photon emission computed tomography (SPECT)/CT were prospectively collected. No surgery-related wound complication and surgical site infection were noted. One patient experienced re-fracture and displacement of dens with the loosening of occipital screws and was treated by posterior revision surgery. At the final follow-up, all patients were alive without evidence of disease, and the solid OC fusion was confirmed. Bone SPECT/CT clearly revealed the effect of CIRT on bone turnover in the irradiated field. The OC fusion with autologous bone grafts was a reliable option for the treatment of post-CIRT VPCs in the patients with upper cervical PMSTs. 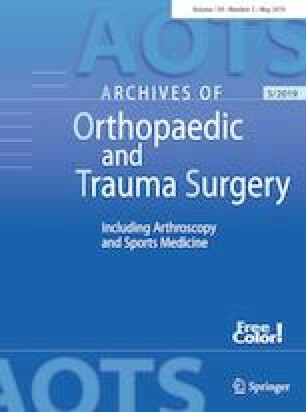 In addition, evaluation of the bone turnover at the irradiated field by bone SPECT/CT would help surgeons select an effective plan of care, such as fusion level and postoperative care. This work was supported by a Grant-in-Aid for Scientific Research from the Japan Society for the Promotion of Science (#18K09067). The study was approved by the institutional review board at the Kyushu University Hospital (26-112).